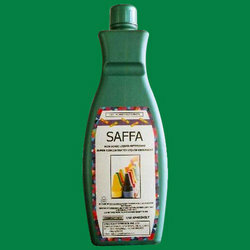 We manufacture a wide range of saffa military cleaner that is fabricated using state-of-the-art technology and latest machines. Our range is manufactured after analyzing the military requirements and hence can be used for many purposes. We are manufacturer and supplier of Ultrasonic Gun Cleaner. Gun and Foam Cleaner is a ready to use cleaning aerosol can for use on soudafoam gun and mccoy soudal foams. Being a quality centric firm we are able to offer our clients a wide range of Flex Hones Gun Cleaner with best quality. We are reckoned amongst the best in the business, involved in offering a premium quality range of Gun Cleaning Kit to our precious customers. 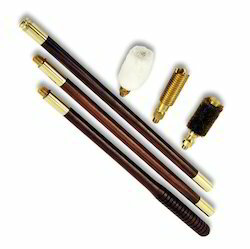 This Gun Cleaning Kit is used for cleaning glasses all sizes and dimensions. Moreover, these products are available as per requirements of the clients. We are manufacturer of world class lubricant / cleaner for arms. - Specially developed to clean the PU foam applicator guns. - A correct cleaning of the gun and the proper use of the product will ensure an optimal function and prevent blockage of the applicator gun. - Suited for cleaning of the valve and spray nozzle of PU foam cannisters and removing uncured PU foam. Gun & Foam Cleaner is a ready to use cleaning aerosol can for use on Soudafoam Gun and McCoy Soudal foams. Reliable EPC 2 is an environmentally preferred floor cleaner concentrate. This product isdfe tag recognized for safer chemistry by the U.S. EPA's Design for the Environment program and will help you achieve your green cleaning goals. Binks Engine Cleaner Gun.20 Units. Particle Filter Cleaner for compressed - air pistols solves and removes all soot desposition and residues without disassembly. Cleans gently and can be used on all aluminium, magnesium, zinc and cadmium parts. The product can be used perfectely for the latest generation of particle filters. Suitable for all closed particle filter systems.